Although it sounded like something out of a fever dream—or just your standard studio exec brunch—news of an all-female Ocean Eleven’s reboot broke last fall, thanks to The Playlist. George Clooney pal and Academy Award winner Sandra Bullock has been tasked with fronting the con-women remake of the 2001 remake of the original 1960 heist film. Back in October, it wasn’t yet known whether the project would be a reboot or sequel, or if Danny Ocean would drop in with a few words of advice on grand larceny. But The Hunger Games’ Gary Ross has been attached to direct, with a script from Queen & Country scribe Olivia Milch. Now there’s more grist for the rumor mill, as The Playlist reports that Cate Blanchett is in talks to tag-team the film with Bullock. 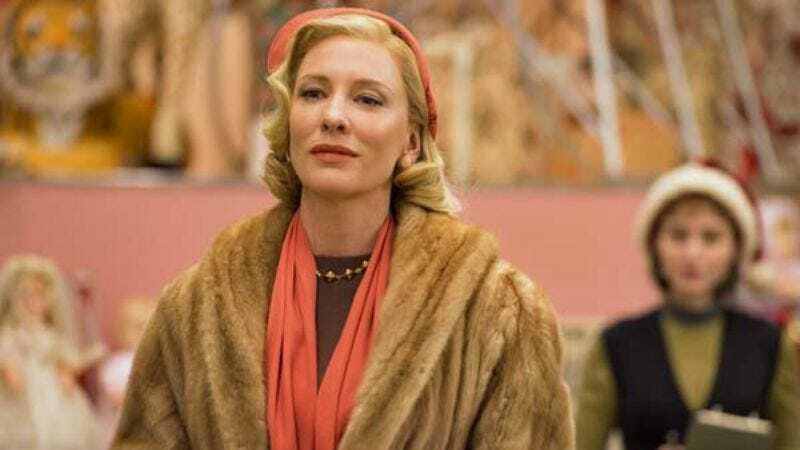 The publication cites sources close to production, who claim that the Carol star will play the Brad Pitt to Bullock’s Clooney, thereby ensuring plenty of snappy dialogue between the two Oscar winners. The women-led film is being “affectionately” referred to as Ocean’s Ocho, which presumably means there will be three fewer thieves this time around, or that there will be some kind of Dodgeball tie-in. And while we’re on the subject, there was speculation last month that Jennifer Lawrence was going to sign on to the film, though her rep quickly shut it down. But Lawrence and Ross are also old friends, having worked on The Hunger Games, so maybe all she has to do is find someone to play the Casey Affleck to her Scott Caan (or vice versa), and they can join the cast as a pair of Mormon sisters.